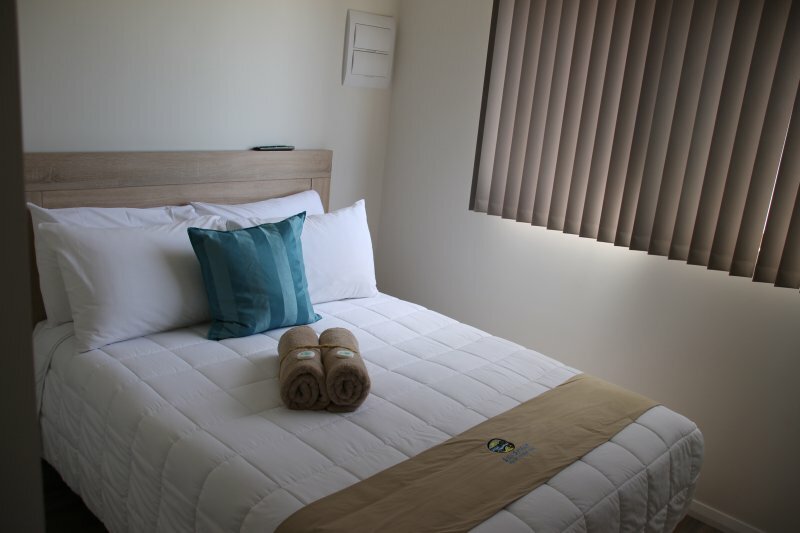 We welcome you to Seaspray Beach Holiday Park. - 79/81 Church st. TIP: travelling from Northinto Dongara? take the first turn on your left down Waldeck Street.off the Brand H/Way @ first roundabout turn right and we are at the end of Church St on the Beach front. 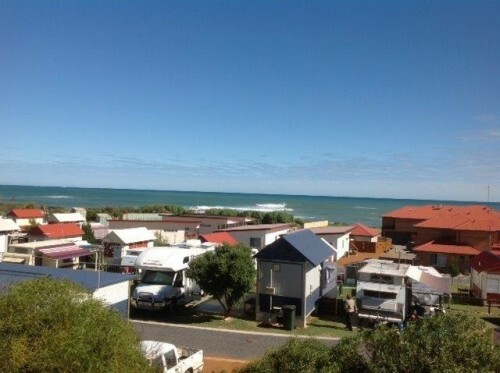 Seaspray Beach is at the front of our property, and is great for fishing, kite surfing or swimming. Dongara’s shady Moreton Terrace creates a scenic backdrop for exploring the shops, galleries or simply enjoying a coffee. Renowned for their true coastal village charm, you can’t go past the twin towns of Dongara – Port Denison, with the Irwin River meandering between the two. You can fish off the Jetty at the beautiful marina, swimming and surfing are a must at the beautiful protected beaches. 1. Explore South Beach. This wide, white sand beach stretches to the horizon or, if you don’t fancy walking, cruise along beautiful South Beach in your car. South Beach is also home to our local Surf Club with regular patrols conducted on weekends. 2. For a truly leisurely walk, the Irwin River Nature Trail is just perfect. Spot all the interesting river wildlife, including black swans and pelicans, just to name a few. Access off Church Street, where the Lookout affords beautiful views of the rivermouth and ocean. 3. BBQs are available at the Port Denison Foreshore where there is plenty of parking and a playground area to amuse the children. 4. The Denison Bowling Club is located next to the Recreation Centre and features top class greens, a pool table, a licensed clubhouse - and Friday night tea. The Bowling Club is contactable on PH 9927 1168. Visiting bowlers are welcome. 5. Wildflower Season is from July to October each year. Self-drive trips are available throughout the Midwest, as are guided tours daily commencing 4pm at the Western Flora Caravan Park 9955 2030, 60kms south of Dongara. 6. Purchase the “Dongara Denison Local Rag” weekly for all the latest happenings around town. The “Rag” is available at the newsagency and supermarkets from late Wednesday afternoons. 7. Visitors are welcome at the Autumn Centre located behind the Shire Administration Centre on the corner of Armstrong & Church Sts. Check the “Rag” for activities and timetables, e.g. for Bingo and Carpet Bowls. Regular outings are available if you are here for an extended stay. 8. Russ Cottage, built in the late 1860’s located just south of the Irwin Bridge. The Cottage was restored by the Irwin District Historical Society and is typical of a yeoman’s cottage of the time. For information, contact the Irwin Historical Society on PH 9927 1323. 9. For more history, do the Heritage Trail. This 1.6km walk features 28 heritage-listed buildings. Booklets, which give the history of each of the buildings, are available at the Tourist Centre for $2.00. See the Royal Steam Flour Mill, built in about 1894 from the plans of Mr Henry Simon of Manchester, England. 10. For even more culture, a visit to the Old Police Station, which is now the Irwin District Museum, is a must! Here you can learn all about the original pioneers, their unbelievable hardships and triumphs. The building itself is also steeped in history. Built in 1870, it served as a police station, courthouse and jail. $2.50 entry. If the sign is out, we are open! 11. The Priory Hotel is another magnificent building. Built in 1881 and then converted into the St Dominic’s Priory by the Dominican Sisters, it has now been lovingly restored into a Colonial Bar, Restaurant and Accommodation, all with period furniture. Listen to music and have a cold drink, Devonshire Teas, Counter lunches & Evening Meals. Check the chalk board on the corner for the latest entertainment updates. 12. Dongara Cemetery contains some interesting headstones dating back to 1874. It also contains a Wall of Remembrance dedicated to the Dominican Nuns of the region. The Cemetery Walk brochure is available at the Tourist Centre for $1.50. 13. Visit “Silverdale Olive Orchard & Processing Facility” - to sample olives, olive oils and local produce. Open most Saturdays. Other times by appointment. Melaleuca Road, Dongara. PH 9927 2674. 14. The Fisherman’s Lookout-Obelisk at Port Denison offers panoramic views of the harbour and surrounds. A plaque depicting local shipwrecks is on display at the Obelisk. A boardwalk now surrounds the Obelisk to allow easy viewing. 15. A disabled fishing/viewing platform is installed off the northern groyne in front of Grannies Beach. The new structure provides substantially more room for fishermen as well as improved opportunity for the disabled and senior members of the community to access the platform, enjoy the views of the area and partake of the great fishing opportunities. 16. Dongara Sport & Tackle at 25 Moreton Tce can help you out with your dive, fishing and tackle needs. They also hire out golf clubs (right and left-hand clubs and buggy available), tennis racquets and push bikes. Drop in and see the friendly staff for all your sporting and fishing needs. PH 9927 1196. A/H MOB 0448 806 790. 17. For a more leisurely pursuit, how about a civilised game of golf at our 18 hole grassed course. See you at the 19th for a cold beer! Dongara Golf Club PH/FAX 9927 2727. 18. For the young at heart, there’s a skateboarding park at Surf Beach! Hard-to-beat skateboarding with the Indian Ocean as your backdrop. 19. Kick back at our Drive-In Cinema! During the summer months, the Drive-In shows up-to-date movies fortnightly on Saturday evenings. Enjoy watching your favourite stars under the stars! Treats to satisfy at the kiosk. The Drive-In is run by the Local Surf Club so please support them. 20. Stroll down the pages of history, and the path commemorating some of the shipwrecks and mishaps of the Irwin Coast in the past. Port Irwin Shipwreck Walk commences at the first path down to the playground after coming through the roundabout on the marina. 21. For an ocean view, kick back in the relaxed atmosphere of the Sea Spray Café located right on the oceanfront at the Sea Spray Caravan Park. Enjoy great coffee and tasty gourmet food and sweets to tempt all and sundry. 22. Travel to Irwin River Winery along Midlands Road approx 12 ks and enjoy the unique flavours of red and white wine to tempt the palate. Visits arranged by appointment. PH 9927 5076. 23. Walk Dongara-Denison! Eleven walks are on offer varying in distance from 1.6kms to 9kms, depending on how fit you feel. Look out for the maps located around town. 24. Hungry? Take in the many culinary delights that Dongara-Denison has to offer from the finest bakeries in the Midwest to exquisite cuisine offered at a variety of restaurants. 25. Take in the atmosphere of Dongara-Denison and all that the local history and culture has to offer with a stay when the Annual Festival takes place in the second weekend in November. See the Blessing of the Fleet and enjoy local food, drinks, crafts and entertainment for a weekend of fun and frivolity. 26. 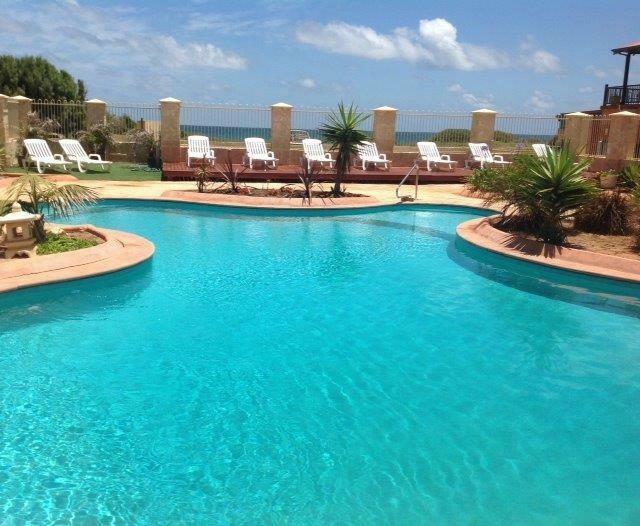 Take advantage of the many wonderful photographic opportunities during your stay in Dongara/Port Denison. The sunsets, beaches, birdlife and historic buildings provide beautiful, colourful memories. 27. Internet facilities are available at both the Dongara Telecentre on Moreton Tce (near the Op Shop and Centrelink) and at Arrowsmith Midwest on Moreton Tce near the Dongara Post Office. 28. DVD/machine hire may be obtained by contacting Leander Video Centre on 9927 1084 at 242 Point Leander Drive next to the Laundromat. 29. Spoil yourself at under the bays beauty at 6 Moreton Tce. Contact numbers are PH 9927 1661 or MOB 0428 2321 272. They offer facial treatments, waxing, spa body wraps, massage therapy, spray tanning, eye lash extensions, acrylic & gel nails and various other pampering treatments. Just because you are on holidays, there’s no need to miss out! 30. For all your hair care needs, contact the lovely staff at Seashell Curls Hairdressing, located at 3/21 Moreton Tce. Their number is PH 9927 1151. 31. Irwin produce is available in season from the roadside stores 10kms east on the Midlands Road. 32. Visit the Dingos of Dongara You can interact with our Australian Native Wolves Boss, Streak, Kal & Billy. There will be an informative talk during your visit between 9.30am and 4.30 pm 7 days. (If the temperature is above 38c the dingoes will not be shown) Ring Phil or Di 08 9927 1585 or 0412543297 30240 if you want a special viewing or for more information. The Dingoes can be found east of town on the Brand Hwy.